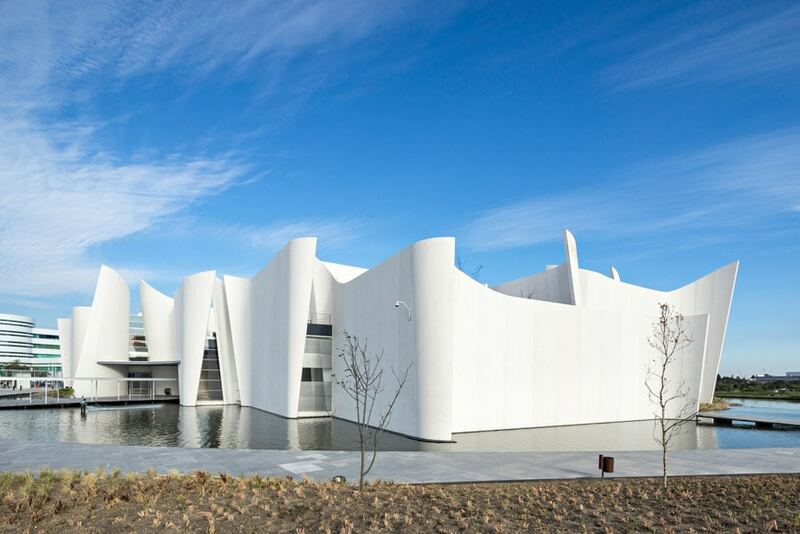 The Museo Internacional del Barroco (MIB) in Puebla is a Mexican museum dedicated to Baroque art; the museum is housed in an iconic building designed by Japanese architect Toyo Ito. 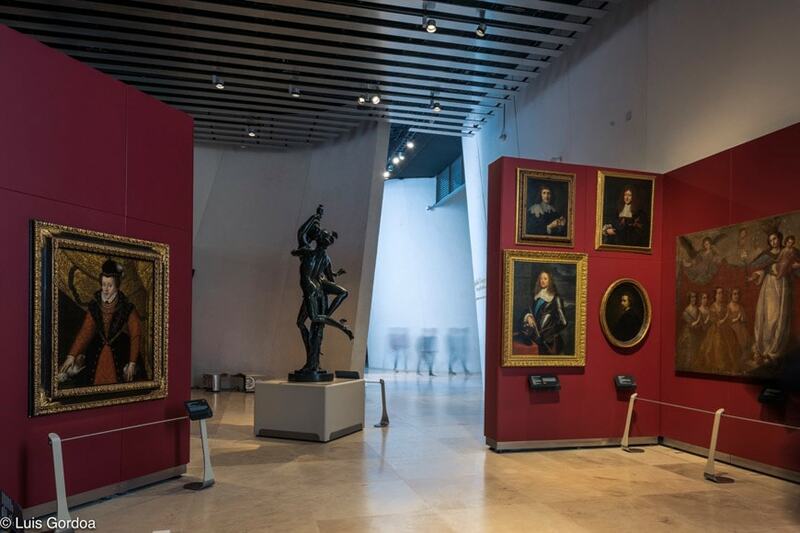 Opened in February 2016, the museum is aimed to present art and culture of the Baroque age (from the early-17th century to the late-18th century) internationally. 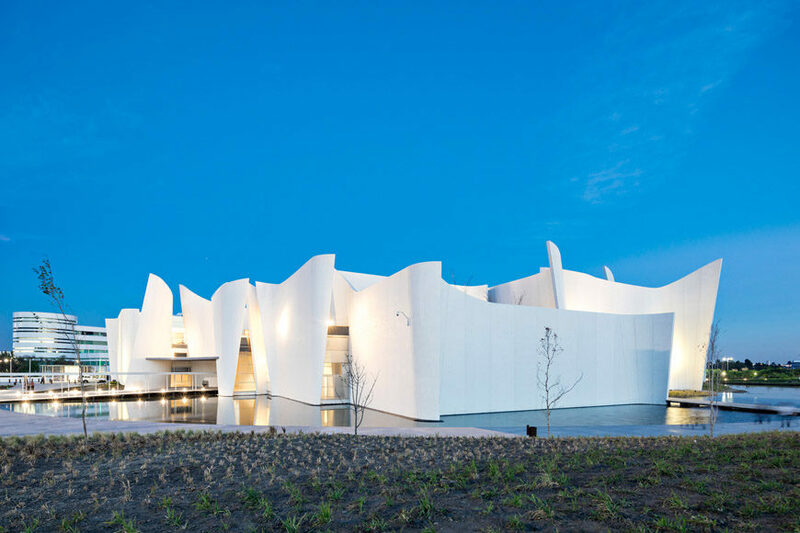 For the museum, 2013 Pritzker Prize winner Toyo Ito, designed an 18,149-square-meter / 195354-square-foot building, located in Puebla’s Metropolitan Ecopark, characterized by a fluid sequence of sail-like white forms. 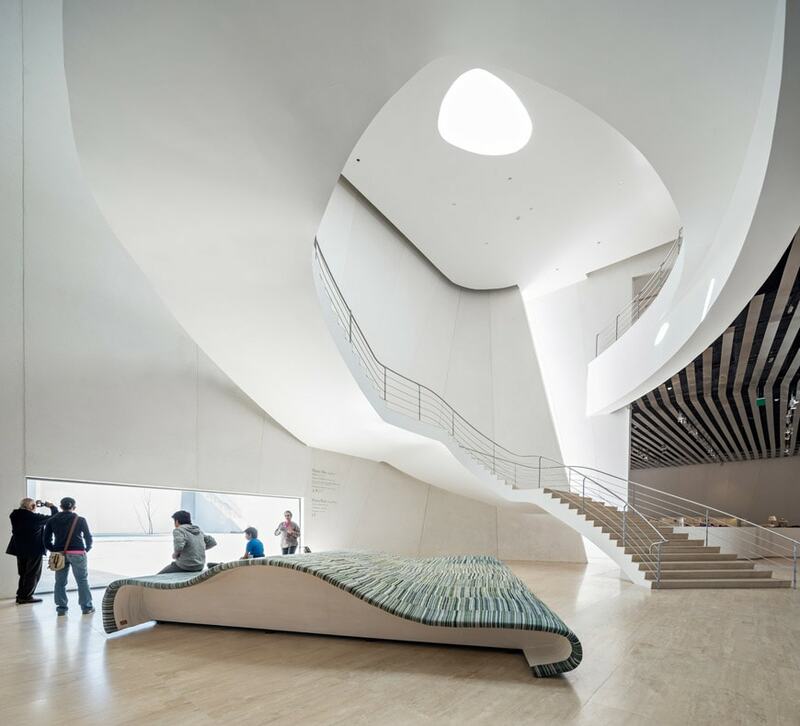 In designing the museum, Toyo Ito was inspired by a number of elements typical of Baroque art; from the strong relationship between artifice and nature, such as in the sequence of pools which “embraces” the building, to the organic form of the curved white concrete “sails”, which vaguely resembles Borromini’s architecture, to the plan consisting of a grid of rectangular “cells” rotated and deformed. 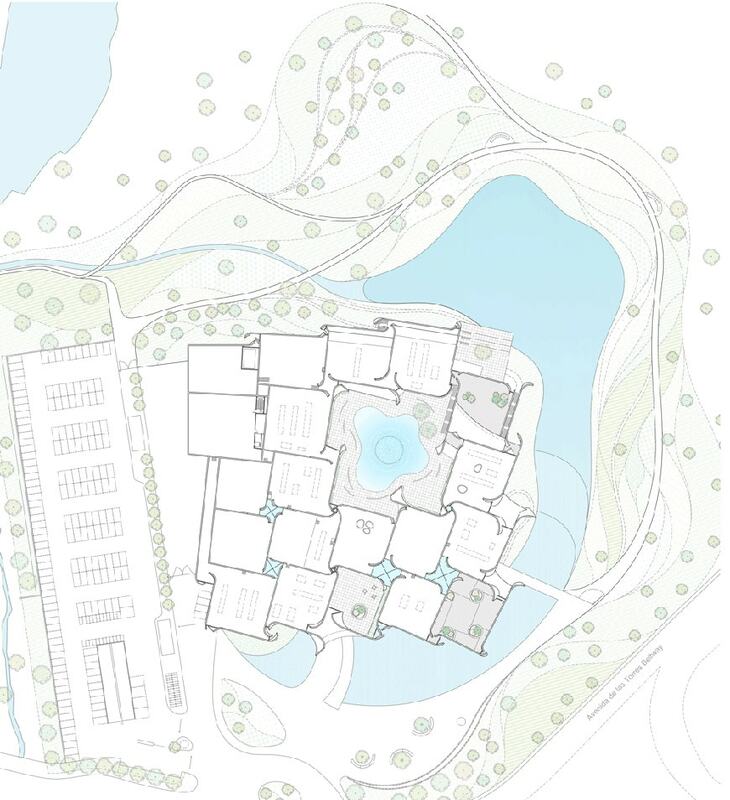 “If we think about the Baroque movement, which broke with the Renaissance vision of the human being as the center of the universe to move on to a God-human relationship, today a similar trend is emerging: the quest for the relationship of individuals with nature. This search would be one of the foremost themes of this century. 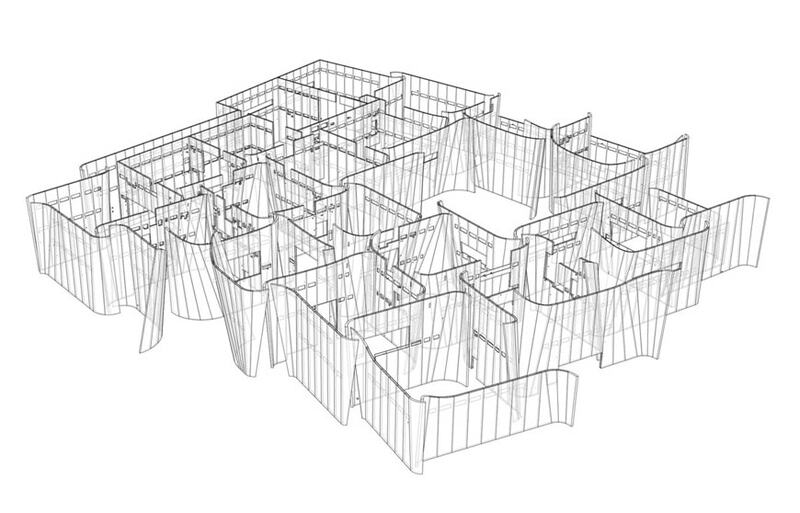 In the MIB I decided to break rigid order to produce fluid spaces, not dominated by cold rigid grids. 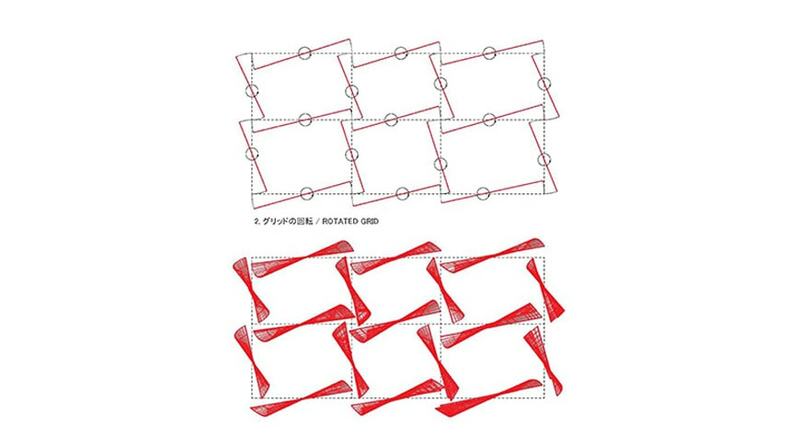 I hope that when visitors move from one hall to the next they experience a Baroque space.” Toyo Ito. 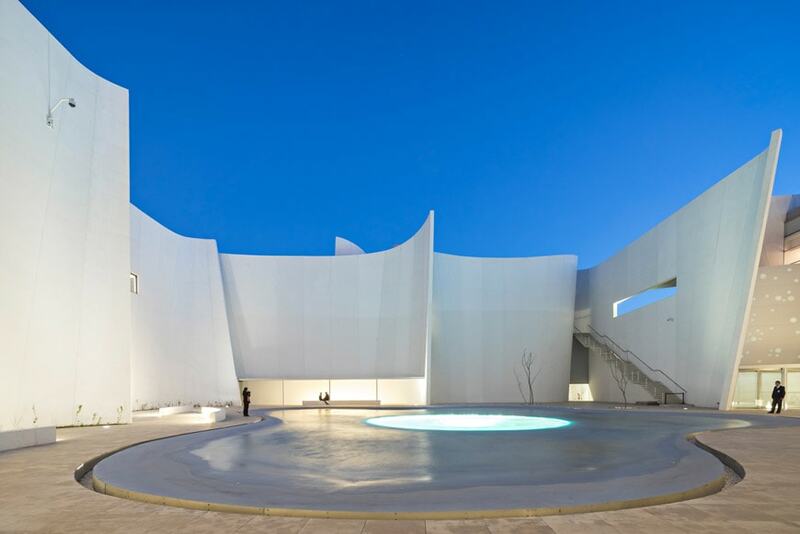 Together with permanent and temporary exhibition spaces, the museum contains a 300-seat auditorium, a library, a restaurant, a store, and a central patio, marked by a circular pool, in which open-air events and video projections are staged. Photo © Patrick Lopez Jaimes / Danstek. 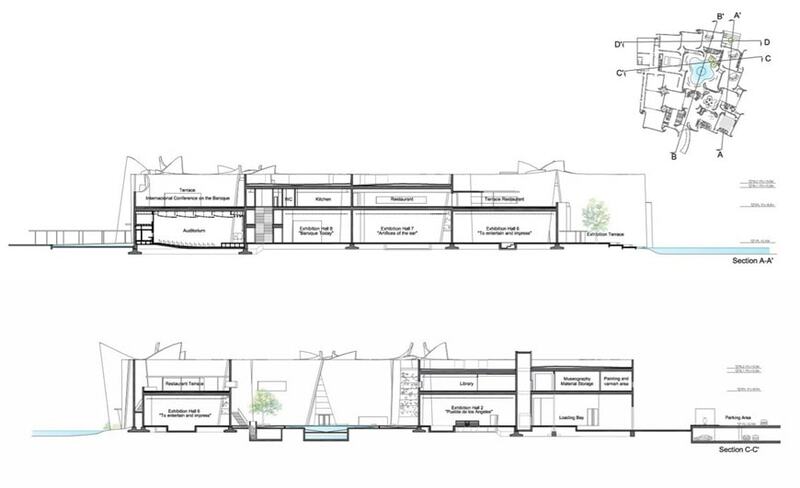 Museo Internacional del Barroco, ground floor plan, conceptual diagram, sections, and structural scheme; images Toyo Ito & Associates. Photos © Patrick Lopez Jaimes / Danstek. 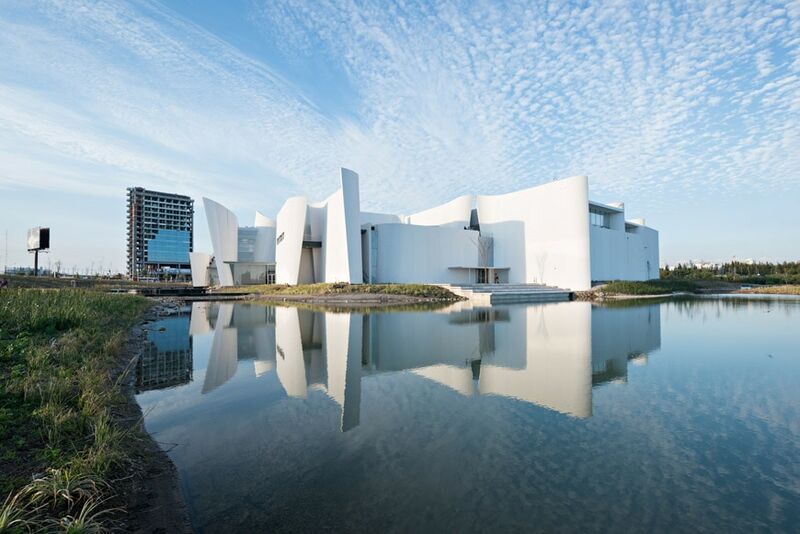 The collection of the Museo Internacional del Barroco comprises several hundreds of pieces – including paintings, sculptures, architectural decorations, scale models, garments, furniture, musical instruments, and objects of decorative arts – related to the Baroque period, both in Mexico and abroad (especially in southern and central Europe). 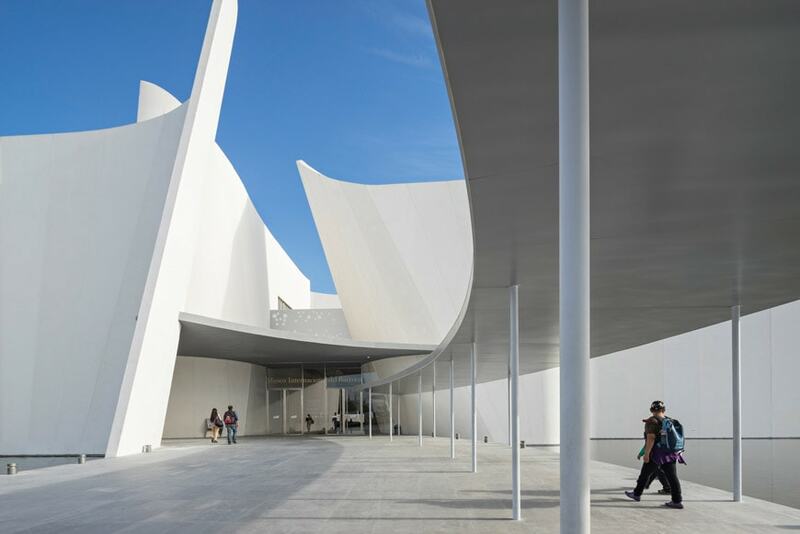 The permanent exhibition of the museum is divided into seven thematic galleries: Theatrum Mundi, the world as a stage; Puebla de los Angéles (which includes a large architecture model of the city of Puebla in the 18th century); The Baroque Feeling, architecture; The New Order of Times, painting and sculpture; The Allegories of Knowledge, letters and science; Entertaining and Moving, theater, costume and the decorative arts; and Artifice of the Ear, music and dance. The exhibition features both physical objects and a large number of audiovisual and interactive installations, including a large video projection which “maps” the decoration of the dome of St. Peter’s Basilica and fresco paintings by Giovan Battista Gaulli for the dome of the Chiesa del Gesù, both in Rome, on a dummy cupola. 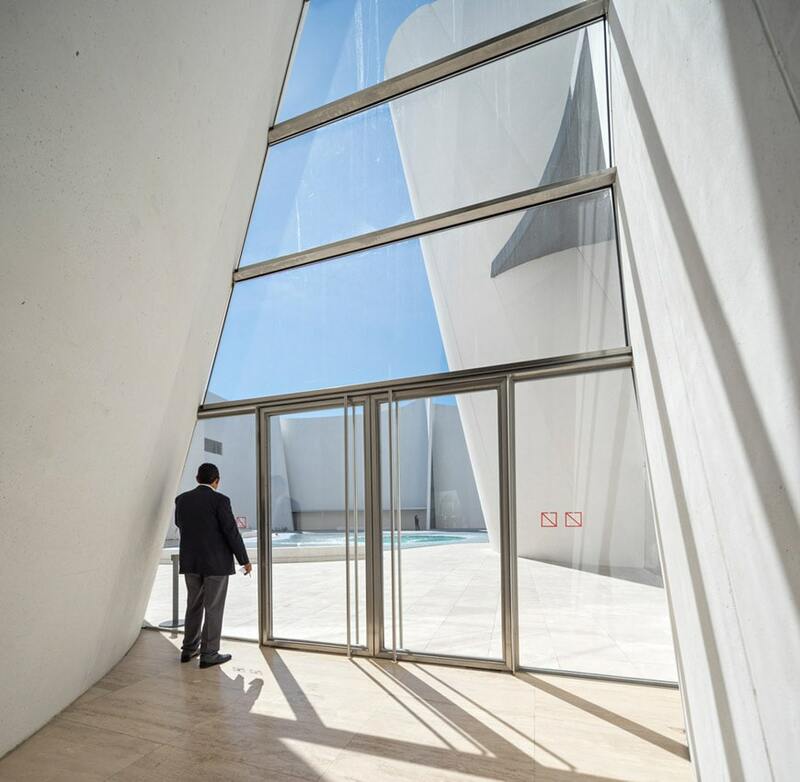 The program of events and activities of the Museo Internacional del Barroco includes special exhibitions, educational activities, concerts, and special events. 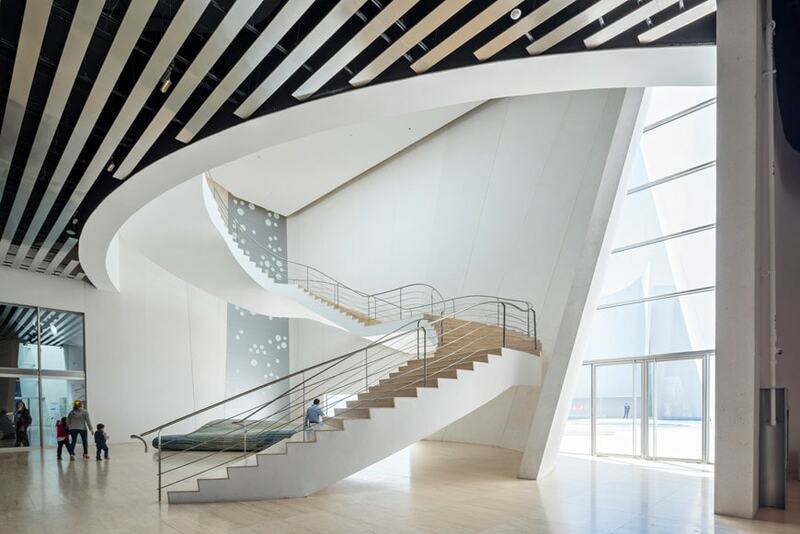 The museum’s lobby; photos © Patrick Lopez Jaimes / Danstek. 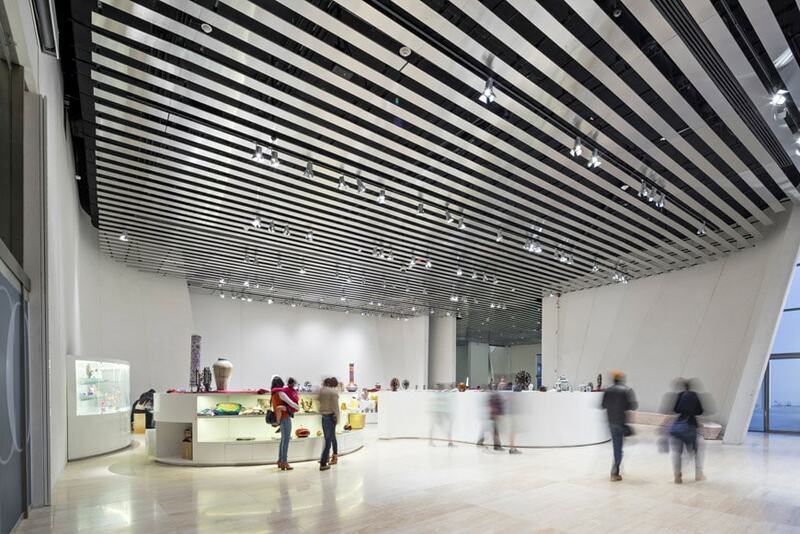 One of the permanent exhibition galleries; photo Luis Gordoa. Two views of the central patio; photos © Patrick Lopez Jaimes / Danstek. 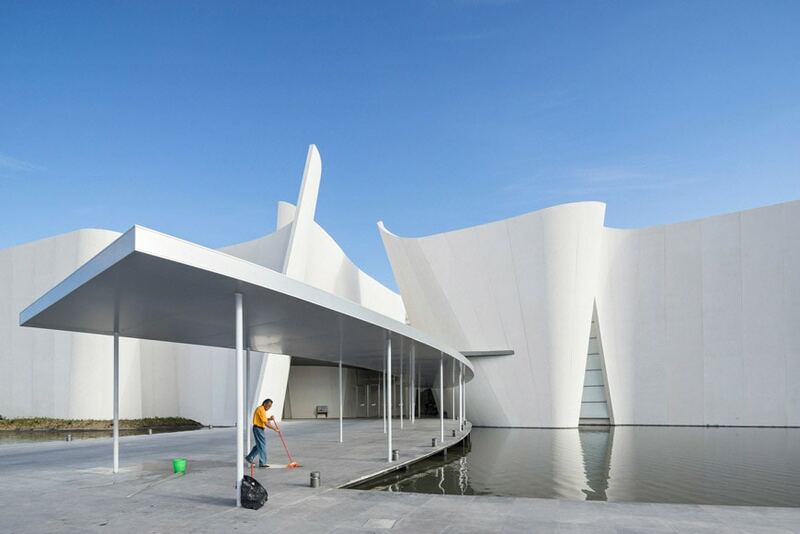 Cover image: the Museo Internacional del Barroco in Puebla; © Patrick Lopez Jaimes / Danstek.